Setting Indoors venue with tables set up around an aviation museum. Volunteer information Each Distillery is afforded 5 [Five] volunteer passes for use by legitimate staff and volunteers only. They will be checked-in at the front gate. License/Permit Off-Site Event Permit – MDG is applying for a Non-Profit Distillery Festival Permit for the festival. 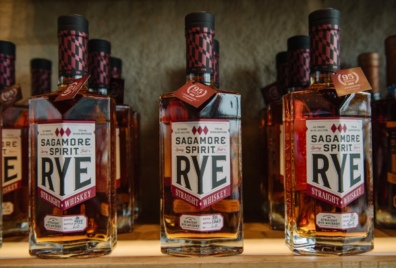 Distilleries will attend under the state-issued Off-Site Permit. Distilleries must notify the Comptroller of their planned attendance by the 20th of the month prior via the protocols listed here. Rentals Each Distillery attending brings their own tables, linens, and Marketing Materials. If you are planning to sell Cocktails or bottles to go, you must provide your own POS system. Sales Distilleries are allowed to sell cocktails on site and bottles to go. Setup style Tables will be scattered around the venue. Sitemap and layout All Distilleries will be in 8-foot spaces, Volunteers on hand to place Distilleries when they arrive Saturday morning. Water Water is available on-site. Demonstration details We will be offering Distiller Chats during the event. Please indicate on the RSVP if you would like to host a chat. Promotion Promotion information can be found VIA THIS LINK.